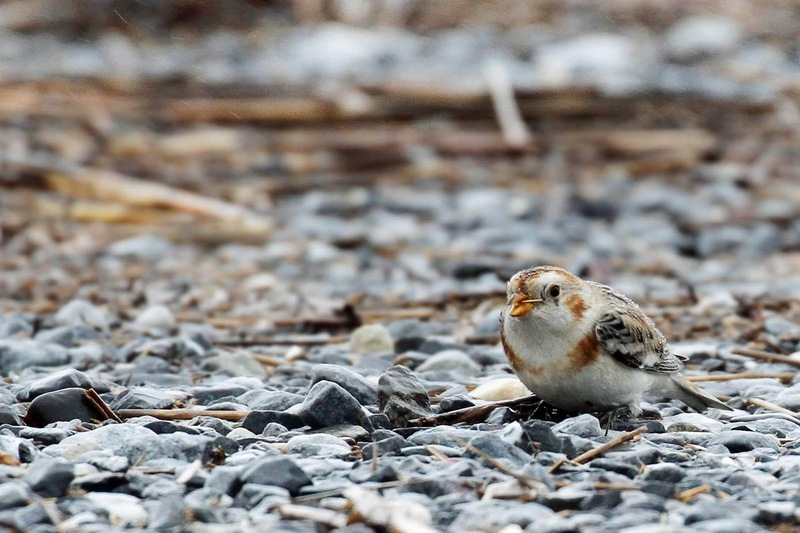 Another year, another Christmas Bird Count. It always seems like the worst weather too. 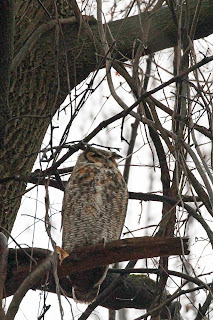 This year, I did Pennypack Park on Saturday in drizzle and dreary overcast conditions. My territory is pretty boring but at least I found a Great-horned Owl sitting out. Poor thing was harrassed by a group of crows later in the day but didn't budge from his perch. And caught this Pileated Woodpecker in flight. 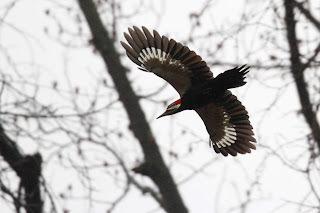 You can see the white wing panels that make this bird easy to ID in flight. You can see by the photographs that the lighting was TERRIBLE for photographing birds. On Sunday, I joined Paul Guris' CBC group to cover the Two Mile Unit of Cape May. I have helped with this territory in the past but this year, the weather was really snotty with sideways rain, wind and fog that prevented us from seeing very much. 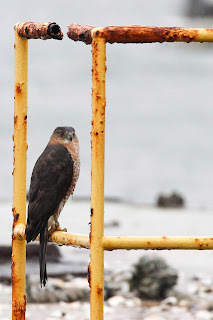 This Cooper's Hawk sat on the railing at the boat dock dripping wet for a long time. Even she didn't want to fly in that weather. Once I downloaded the photo, I noticed that this hawk has leg bands. I can't read the band information but interesting to find one with "jewelry". 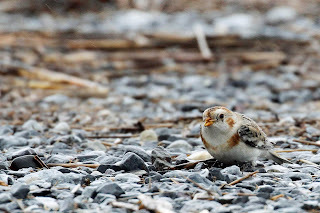 We were the only group in Cape May to spot a Snow Bunting this year which is weird because there are a lot of professional birders that cover this area. I guess we just got lucky. This little guy was gobbling up seeds in the parking lot of the restaurant. I quit around 2:30 and headed home to host the DVOC photo contest judging. There were alot of great submissions this year. The judges had a tough time choosing winners to be announced on Thursday.